Custom ground cloth for the Mountain Hardwear EV3 tent. 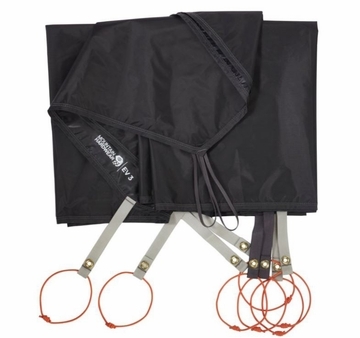 The waterproof footprint protects the tent floor from damage and prolongs the life of the tent. •The EV™ 3 Footprint is a waterproof footprint that protects the tent floor from damage and prolongs tent life by adding a layer between the tent floor and the ground.